Acceptance of online fashion stores is increasing these days. With the advent of time, people are getting comfortable as well as accustomed to online shopping. As a result, they want more convenience in online based shopping. It is a difficult thing to shop for fashion items, especially clothing items online. 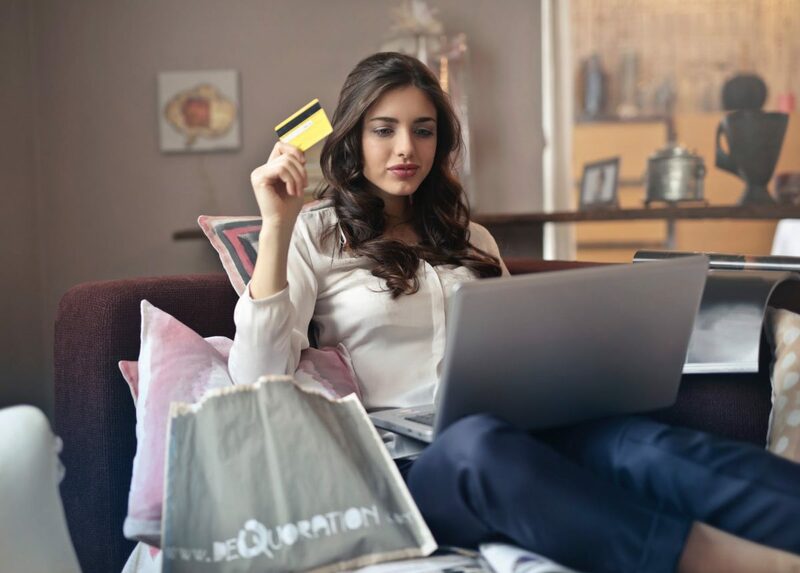 With the advent of many well-developed e-commerce websites for fashion clothing items as well as accessories, it has become simpler for the buyers to find products as per their preferences or choices. 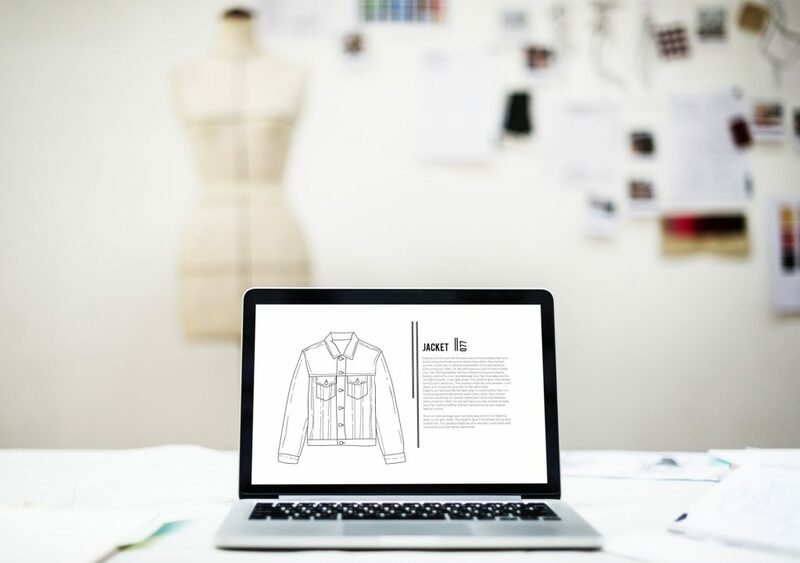 Along with adopting some essential changes to the e-commerce website for selling fashion items, businesses have to focus on business promotion or marketing to gain more traffic as well as visibility. For online marketing of fashion e-commerce store, different social media platforms can be used. Instead of conventional marketing, social media marketing works well for the online fashion stores. Now, different social media platforms are there. There are Facebook, Twitter, and Instagram. These are the major platforms. Along with them, a lot of other social media platforms available. Using Instagram has certain benefits in the process of social media marketing. It can increase sales and give better profitability to your business. Here is a guide for you in this matter. It is to be noted that Instagram marketing would be successful once the foundation is strong. This is simply comparable to a building structure. If the foundation is not strong, building structure would not be strong. So, the foundation has to be strong enough. To work on the foundation, different strategies and expertise are required. To make the foundation strong, different techniques should be adopted. To create an Instagram account, you need to follow the basic procedure of signing up. Once you register with your account, you need to follow some simple measures. 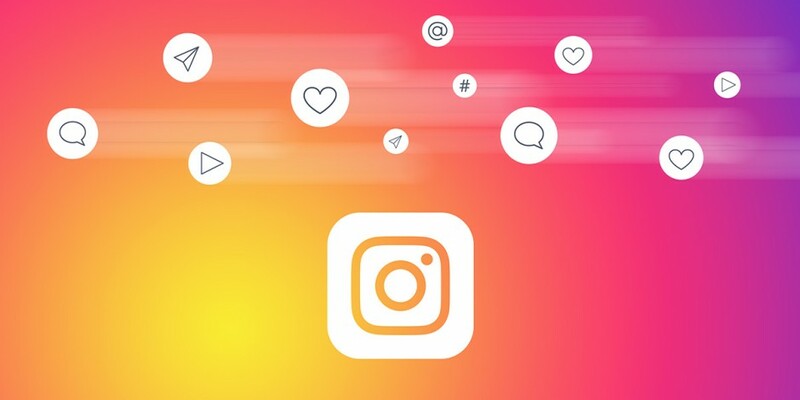 Here are the things that you need to ensure when you are creating an Instagram account. Make sure that you are following the steps as mentioned below with perfection. Profile information: The profile should be stuffed with all the necessary as well as crucial information. It is important to understand all the things that are required for showcasing information on your profile. Right from the bio section to the contact section, all section should be stuffed with genuine and useful information. Display Photo: A business profile on Instagram is not complete without a good display photograph. You need to make your profile photograph complete with the right selection of the display picture. Make sure that business profile picture for your Instagram account should come with business logo or emblem. It helps in creating brand awareness. Verified Profile: You need to verify your business profile through proper documents. Not verifying profile would not stop the copyright violation issues. Once all these things are done, you are ready for an Instagram marketing job. Now, this job has to be conducted with perfection. The first step is planning. You need to chalk out the blueprint for the Instagram marketing campaign. Once the blueprint has been created, you need to go for the process of business marketing to enhance traffic for your website and eventually enhance your profitability. In order to learn more in this matter and to get brilliant social media marketing services, you can get in touch with Gramista. Content is the king in the field of business marketing. You need good content to make the process of Instagram marketing seamless. You have to work on your content with more dedication. The aim should be developing seamless as well as lucid contents. When it comes to Instagram marketing, visual contents are used more than text-based contents. For visual content, you need to be unique just like the text-based contents. Basically, using photographs from other without permission may drag you into trouble. Using copyright protected photographs is a serious offense. So, it is important to create or craft contents with perfection. Now, when it comes to promoting fashion related website, you need to focus on the fashion domain. You need to focus on sharing contents that are related to the fashion industry. Popularly, businesses share photographs or their products on the Instagram account. Make sure that the products are showcased in a creative style. If they are not shown in creative style, they will not draw the much-required attention. It is also a good idea to go for a professional photo shoot with models for various fashionable garments and fashion accessories. Combination of all these things will help your business immensely. The basic aim of Instagram marketing should be sharing such posts that can draw engagement. You have to engage the fans or followers on your social media activities or posts. Sharing the fashion tips is helpful in this regard. Your followers would love to get some unique and advanced fashion tips. They would love to get some great tips regarding usage of various fashionable accessories. Many businesses sell innovative fashion items, and people do not know how to use them properly. Videos can be created to show people how these accessories can be used to appear more fashionable. Overall, different techniques and methods can be tried to create awareness and share useful tips among the followers. If followers start getting something worthy from your regular Instagram posts, they shall keep in touch with you and encourage others to follow you. This is a common way of driving more revenue. Every buyer loves discounts and freebies. So, it is a great thing for the buyers, if they are offered freebies, especially during the festive seasons. To announce various discounts and freebies, you can use Instagram profile of your fashion e-commerce store. You need to create posters or interesting text contents to promote various offers and other related things. In this way, you can gain more potential buyers for your store, and that would eventually result in high revenue earning. Harris is a leading blog writer and content marketing professional with thousands of real Instagram followers for his postings. To know about Instagram marketing, you can follow his articles and visit Gramista. Companies spend a lot of money managing human resources. HR is big business whether you’re a small business, startup or a giant multinational. If you don’t get your HR right, you won’t have the right people working for you and you’ll end up failing. When it comes to HR spending, it’s obvious that the way businesses spend is changing. Nowadays, the startup, as well as the big company, is looking for technology – it can help companies save money. HR investment is particularly flowing towards human resource management systems, especially if the technology is also utilizing things like cloud computing and artificial intelligence. With investments clearly considering technology in HR to be such a beneficial force, what is the actual consequence for HR? How is technology changing HR in startups and big organizations alike? One of the major ways technology is transforming HR is by making it another aspect the company can outsource. 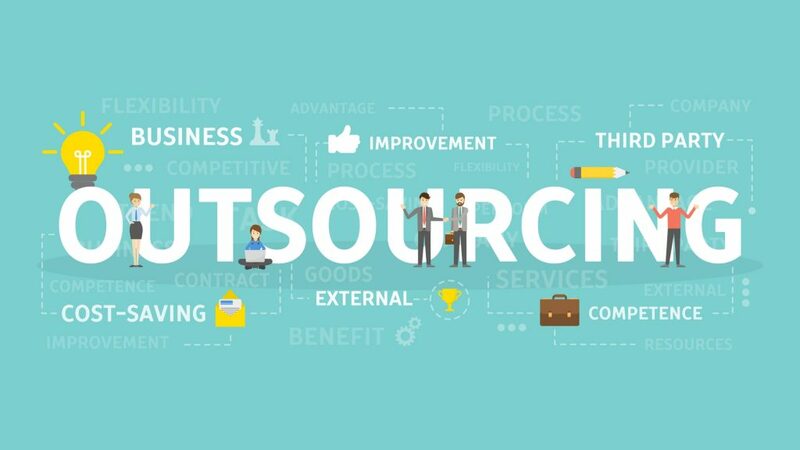 Outsourced HR has not been possible previously in a way that would have made it effective and beneficial. However, both startups and larger companies can now easily let third parties run the HR system. Technology can deal with most HR needs efficiently these days. Automated learning, artificial intelligence, and cloud-based platforms mean you don’t need a whole department to look after payroll, onboarding or even recruitment. Instead, the modern human resource management system just requires a few HR professionals to manage even large employee portfolios. Automation will provide companies with an easier and more cost-effective way of running HR. This doesn’t mean internal HR departments would come obsolete. It just means that organizations don’t have to build gigantic departments any longer and waste resources on professionals whose services they might not require on a regular basis. Instead, departments can become more productive and scalable, allowing companies to focus on the most crucial matters and to help the HR workforce they have to become more professional. Having an organization full of happy and healthy employees will mean the organization has a motivated and productive workforce. In the modern world, employee wellness and wellbeing are the most important things HR has to cover and technology is improving their understanding of these issues. Due to cloud-based technology and increasing focus on behalf of the human resource management systems to cover issues of wellbeing, employees and employers are better able to take charge of their health. The focus is flowing towards simply steps like allowing people to manage their healthcare insurance choices through these apps to promoting healthier choices. There is even emphasis on monitoring employee wellness with the help of wearables. By integrating some of these technologies with the HR’s human resource management system, companies are able to better assess how employees are doing, what kind of help they might need and how to support a more productive workforce. Technology is having a huge impact on society and it’s changing many professions on the go. It’s only natural for HR to adopt a technology, as this can ensure the workplace as a whole is taking on this digital revolution. Many employees are entering workplaces that do not look anything like they did a few decades ago. 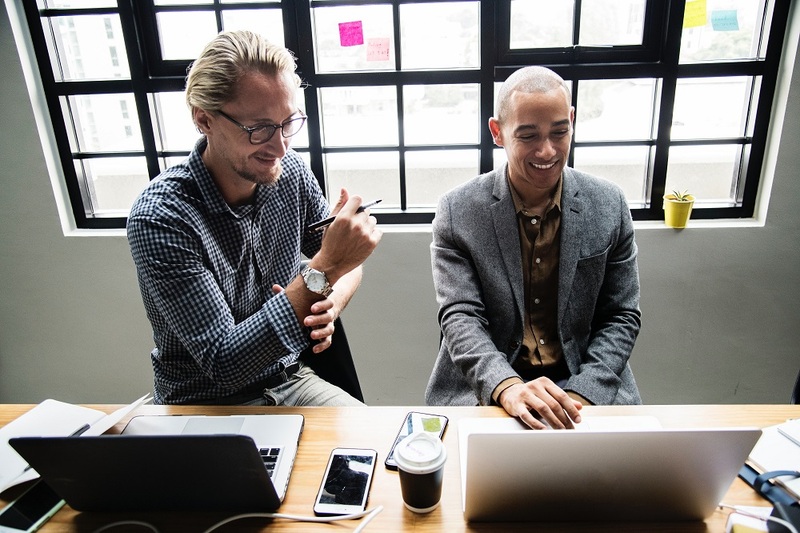 However, for many millennials, technology might not have been part of training and certain digital aspects of the workplace are not something many of know prior to just trying them out. HR’s role has always been to ensure the workforce is up to the task and it has the right tools to operate with. In the modern world, this means helping employees embrace and use technology. The cool thing about this digital revolution is not that HR has to help educate employees but also the way they can train. This is because of the way human resource management systems have adopted cloud-based training as part of their appeal. HR doesn’t have to do traditional classroom and course-driven approach to developing talent. Instead, everything can happen according to the employee’s abilities and time. 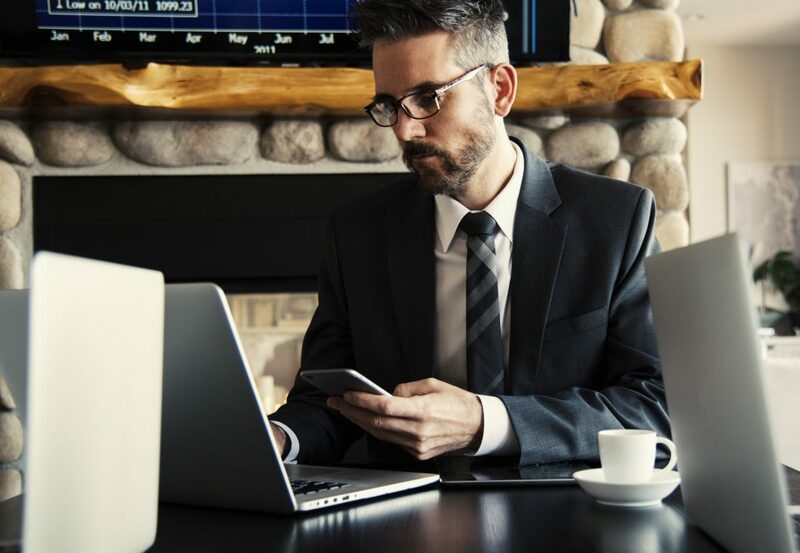 You can provide more personalized talent with modern technology, ensuring employees only learn what they need and do so at a time that allows them to be effective and productive. HR is the key to business success and startups and big organizations alike need it to thrive. However, HR doesn’t just stay the same and technology can play a big role in shaping how HR works at any given organization. By staying on top of changes in technology, companies can also ensure their HR departments are effective and pushing them toward success. Microsoft office 2019 has added unique features ideal for students. The new Microsoft Office is specifically designed to save on time. One of the exciting features recently added is the one-time purchase. You won’t need to update your software every time after expiry. It works well with Windows 10 operating system. You only pay discounted rates only when purchasing and no additional expenses are incurred once the purchase is done. It is also dynamic software ideal for students in their educational journey. In advanced learning institutions, the availability of projectors to aid in learning is made possible especially with the advanced Microsoft Office PowerPoint. As a student, you are able to learn visually as the PowerPoint feature are advanced to make sophisticated and high-quality slide videos. You are at an advantage as the presentations made from this Morph and Zoom are advanced compared to the older versions. Data entry, calculation and chart designing is now an easy task for you. You do not have to worry about spending a lot of time manually jotting formulas and mathematical interpretations. Microsoft Excel is now a walk in the park as such issues are no longer a bother to you. Time is saved through manipulating data in the Microsoft 2019 specifically the Microsoft Excel. Power Query and Power Pivot are implemented in the advanced software. You can now publish your charts and 2D to Microsoft business analytics service extracted from Excel. Engineering students are also able to make maximum use of this user-friendly software. The Microsoft Office is downloadable compatible with any smart technology device. Drawing of plans and diagrams are enhanced by the Microsoft Office 2019. Your designs will have a three-dimensional overview and enhance your creativity even further. Students are able to create models in addition to accentuating the beauty of the models through the dynamic conversion of ink-to-text features. The One-Note has this major boost and is responsible for student-friendly features. The first people to access more features of Microsoft Office 2019 are institutions that pay for licenses in large numbers then followed by a regular consumer and the last batch are the business people. Through proper utilization with these unique softwares, students are able to meet and interact with other students virtually. You can learn even when you are not within the classroom. Students also interact with their lectures conveniently. Students receive numerous emails for educational purposes. It may be tedious to go through every email if you need to locate the assignment given virtually. The additions on the Microsoft 2019 have made it possible to go through your email messages with ease. Travel packages, focused inbox, updated contact cards and office 365 groups are additional add-ins on the software. It is also security conscious and cost reduction on the purchase of software updates. The introduction of click-to-run features is advanced to amazing levels from the original Microsoft Office 2013 version. Students are also able to get a free subscription to Office 365. In normal cases, Office 365 is subscription-based and you can pay for the services or updates monthly. Although students are favored because all the institution needs to do is input a valid school email for activation. The students and the teachers can get the dynamic virtual software to enhance their learning abilities in the classroom and school at large. All the advanced Office 365 plus the Microsoft teams are included in the subscription. Students are able to experience mobility and flexibility in their learning. The organization and access of documents are made easy thus saving on time. Accessing, editing and saving of Microsoft files from your Mac are made easier and efficient. You are able to access your lecture notes and edit anytime possible. You are able to edit documents comfortably and with ease through another add-in feature Open Office which is compatible with Microsoft Office 2019. This makes working on your project seamless as the virtual software is compatible and can be downloaded to your Mac. The Information Technology levels are moved to greater heights as education is also affected positively by utilization of Microsoft 2019 which is anticipated in the mid-year of 2018. To peak your Information Technology and education levels to greater heights, the download of Office student Mac will by far affect your learning skills positively. One of the most important statistics in the world of marketing is the fact that a present-day internet user has a shorter attention span than a goldfish. That being said, you need to understand how to make them engage with your brand and your website without distracting them from your main objective, making a purchase, subscribing or further exploring your domain. Making your audience phase through pages and pages can be quite lucrative for your overall rank, yet, it really doesn’t do much to boost the overall user experience, especially if your loading time isn’t that impressive. Fortunately, with micro-interactions, you can do just that. Here are a few tips and suggestions. The first massive advantage of the improved customer user experience through micro-interactions lies in the fact that they are incredibly easy to use. Think about the ‘like’ feature on Facebook. This universal symbol is more than a clear indicator of what the actual function does, yet, this is not your only option for micro-transaction implementation. In a lot of cases, the micro-interaction has a confirm button, which allows you to reverse the action before others are able to see it. Without this finality, your audience might be more content with playing around with your website, seeing as how they are confident that their interactions stay private until they deem otherwise. More importantly, you need to understand that it is not a job of a micro-interaction to change the way your audience’s brain works, it’s only there to capitalize on this symbolism and association patterns. As we said, thumb up and heart were always positive symbols while the ‘x’ symbol, a broken heart, a minus or a thumb down always indicated something negative. Emoticons can also be quite efficient, seeing as how they have a simple graphic way of displaying approval and disapproval. Overall, you should study these behavioral patterns if you’re to connect with your audience. As soon as they enter your website, your audience is in your domain, which is what robs them of some of their control. Sure, they’re there by their own will and they can shuffle through your offers, however, in order to make them really feel welcome, you have to show them that they are the ones whose actions matter the most. Any form of interactions can get you a part of the way but according to the guys from the digital agency from Melbourne, you can make all of these micro-interactions into a breadcrumb trail towards your CTA (call-to-action) button. After all, it’s much easier to make your audience interact with the most important element of your page if you’ve already persuaded them to do so several times over in the previous two minutes. The greatest advantage of micro-interactions is that they don’t require you to reload the page. Think about the Instagram ‘like’ button which immediately shows a red heart symbol (as opposed to the empty heart icon) when you click on it. Sure, interacting with your website in a different way would also be a probability, yet a loading screen can be a potential deterrent. By relying on micro-interactions, your pushing the biggest obstacle out of the way. Depending on the content of your landing page or your platform, you might have a hard time keeping your users entertained. This is where micro-interactions come in, seeing as how they give your audience something to do every step of the way. By evoking emotions or using interesting animations, you can take this one step further. While this may not seem like that great of a deal, avoiding unnecessary confusion definitely improves your user experience. For starters, whether or not you’ve clicked a certain button shouldn’t be a concern with micro-interactions. On the other hand, if they’re poorly integrated or non-responsive, this could turn into an even greater problem. Fortunately, most micro-interactions respond instantaneously, leaving your audience without a shred of doubt in their mind on whether or not the website received your order. Delayed reactions are even worse, especially when clicking twice on the same button has the potential to undo your first action. Overall, micro-interactions can be much more efficient at avoiding unnecessary confusion. Due to the fact that micro-interactions make people more eager to interact with your website, you also get a more reliable feedback and an easier access to all sorts of user-related information. Most people automatically assume that we’re talking about the way in which your audience responds to your content but this is just the tip of the iceberg. Sure, micro-interactions are great, however, each intractable element you add to your page requires some additional resources. In this way, you get to see first-hand, which of these buttons are audience-favorites and which, they could easily live without. In other words, you’re using micro-transactions in order to alter your own micro-transaction strategy. Finally, learning of the example is probably the most efficient didactic method, yet, a lot of people are still quite reluctant to do so. Fortunately, with the help of micro-interactions, your users can get an emulation of using your app or platform in a safe, learning-friendly environment. Sometimes, simply highlighting or flashing a button that your audience should click next can help make this learning process more seamless. Moreover, this can help gamify the entire experience of using the app, which is definitely a trend that goes ever in your favor. The best thing is the fact that these seven aspects aren’t the only ways in which micro-interactions stand to improve the overall user experience. Sure, no matter how ingenious, these features don’t have the power to make or break your brand, yet, they do act as powerful enhancers. In other words, they can make all your efforts better and more relatable, which is what your web design efforts and your digital marketing campaign are supposed to be all about. Many of the world’s biggest companies were founded not by one entrepreneur, but by two or more partners who shared the same vision: Warner Brothers, Hewlett Packard, McDonald’s, Apple, Google, Ben & Jerry just to name a few. Of course, all of them had to overcome rough patches along the way, these examples show that two heads are better than one and that a business can accomplish great things if it’s ran by partners who complete each other. It’s not impossible to succeed in the business world without prior experience, but the few success stories we can give as an example are actually quite scarce. In most cases, lack of experience leads to costly mistakes and you might not get a second chance to apply what you’ve learned from them. 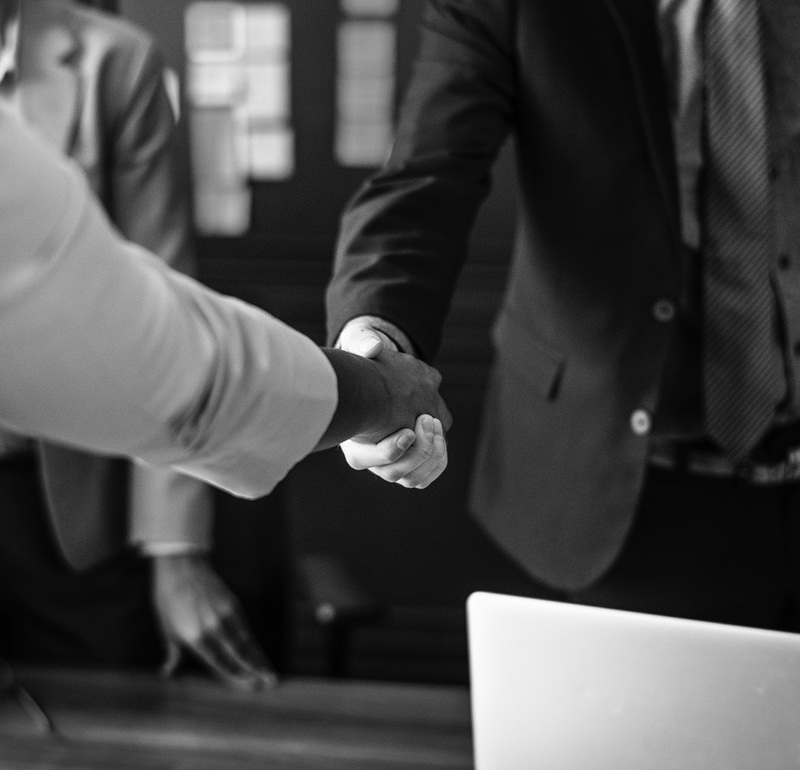 An experienced business partner can help you avoid them by providing valuable know-how, advising you on fiscal matters and providing market insight. Business partners should have each other’s backs. The right hand you are looking for has to believe in your talent and support you along the way because this is the key to achieving success. According to psychologist Sherrie Campbell, a partnership based on support increases trust boosts motivation and helps you stay positive in spite of setbacks. In business, success rarely comes easy. It might take years of trial and error until you manage to develop that brilliant product or until you find your first customers. The person you choose as your right hand has to be patient and stand by your side for as long as you need. There is nothing wrong with wanting to work quickly, but this shouldn’t come at the cost of compromised production or rash decisions. No matter how many qualifications a person has, they won’t help you if they don’t believe in your goal and aren’t dedicated to seeing it become a reality. Look for commitment in your business partners and you won’t regret it. The world’s greatest inventions were created by people who were visionaries and had the courage to think outside the box. Find yourself a business partner who isn’t afraid to think upside down and challenge the status quo. Success often comes at the cost of countless sleepless nights, never-ending brainstorming sessions and hours of pitching over the phone. Your partner has to be willing to do all this and work harder than every other employee when the situation calls for it. The way you communicate with your business partner is essential. Not only do you have to be open to each other’s ideas, but also accept positive and constructive feedback. Without communication, you won’t know what’s wrong and you will not make the most out of your collaboration. In the business world, the power of kindness is underrated. Contrary to how popular media pictures executives, you don’t have to be ruthless and cynical to succeed. A partner who cares about the needs of employees as much as for the needs of the business is really valuable, so score that during the interviews as well. Proactivity is the trait of people who anticipate change before it happens and know how to react to it. Proactive people are those who have initiative, adapt in challenging situations and have a results-oriented attitude. Instead of having a passive mindset, where they wait for things to happen and then sit back as idle observers, proactive people try to anticipate and prevent problems and when they occur, they actively try to solve them. And last, but definitely not least, your right hand should act with integrity in all business matters. Associating yourself with someone who acts by unorthodox practices and is willing to cut corners for the sake of profit is very dangerous and could put your business at risk. No matter what you are looking for in a right-hand person for your business, remember that the two of you should be compatible. Finding the Steve Wozniak to your Steve Jobs might take a while, but you should never rush your decision and you should only go with someone you can trust. Brandon Stapper is the Chief Executive Officer of Nonstop Signs & Graphics. a Los Angeles Signage Company. At 20 years old, with no formal education and only a few hundred dollars, Stapper turned a $400 custom decal machine in a garage into a printing powerhouse. Nonstop Signs & Graphics has made the Forbes Fastest Growing Companies Award 4 years in a row and services 10,000 clients yearly. While for some people mowing the lawn is a way to relax, and stay connected to nature, others can’t seem to find the time to mow the lawn, or simply see it as a boring task they can’t wait to get done with, so they can relax in their beautiful garden. That’s where robot lawnmowers jump in to save the day. They require minimal maintenance and an hour or so to set up. That’s it. The rest of the mowing is left for them to complete. They are basically like Roomba for your lawn and even more. 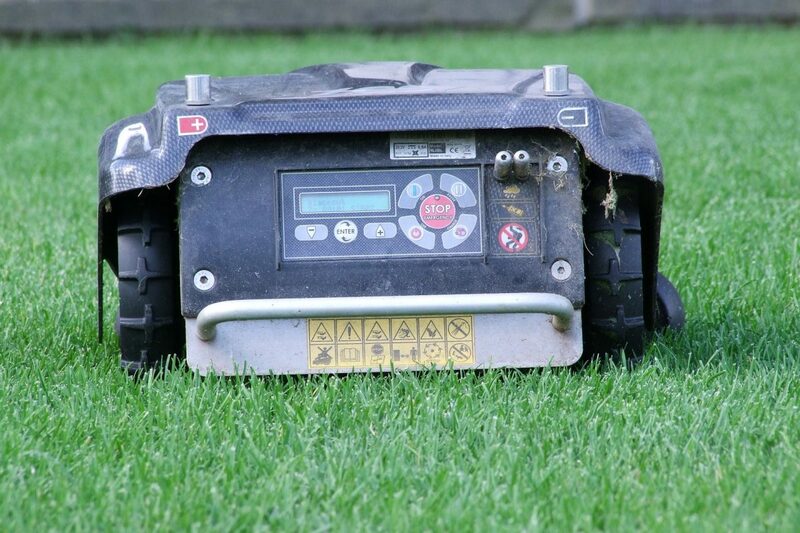 One of the reasons that robot lawnmowers are so popular is the fact that they require zero work or maintenance; you set it up and it does the rest all by itself. If you compare it with petrol or ride on mowers you’ll notice that those two types require a lot more work, and time, which some people don’t really have. These types of mowers require regular maintenance, petrol, oil, and a good cleaning after each use. They are also quite noisy and dusty, in comparison to the quiet and clean cut of the robotic lawnmower. 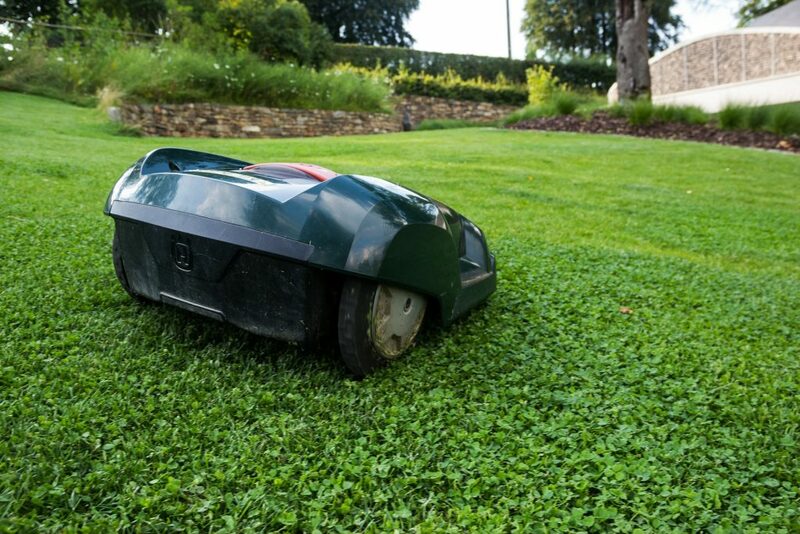 The first robot lawnmower was invented in Sweden back in the ‘90s, but it took almost a decade for robotic mowers to truly take off. What was once considered a luxury owned by wealthier homeowners is now something many people can afford. New technology and inventions allowed for prices to go down, and the robot lawnmower became much more affordable. Take the latest Flymo 1200R robotic lawnmower, for example. It costs only slightly more than a good petrol mower. 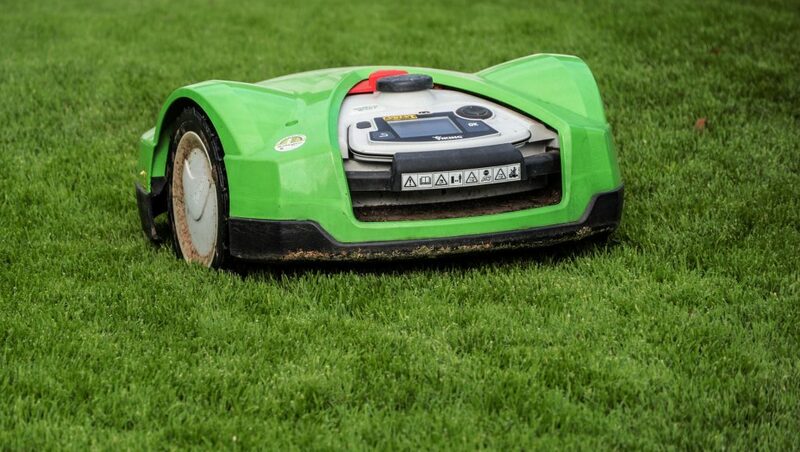 As prices come down even more over the years, robot lawnmowers will become even more popular and might even top electric and gas lawnmowers. I think we won’t be too far off if we say that 30 years from now our grandchildren won’t even believe us that we mowed the lawn ourselves. Unlike with the traditional ride-on or push mowers, the robot mower doesn’t cut the lawn once a week on a Saturday or Sunday. It works day and night, come rain or shine and cuts your lawn daily, shaving a few millimeters off the top, turning your cut grass into a natural fertilizer, which keeps your lawn looking nice and green all the time. The first and only thing you’ll need to do once you purchase your robot mower is to set its boundaries and limit where it can travel in your yard. Some mowers have underground, while others have above ground boundaries, either way, you’ll need at least an hour to set everything up so that your mower can do its job safely and efficiently and you can get your well-deserved rest. 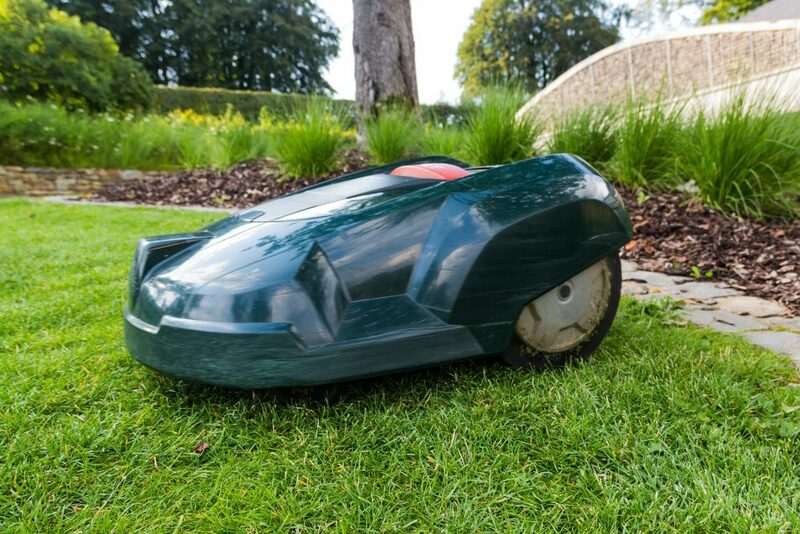 Robot lawnmowers work in random patterns to avoid leaving tracks in your garden; they also move quite easily around obstacles, flower beds and trees, and work well with uneven and slightly inclined areas. Robot mowers are very quiet and unnoticeable; they won’t bother your neighbors, pets or kids and will offer you a peace of mind and a perfectly cut lawn that will make your yard really stand out. We’ve already seen some of the advantages that come with owning a robot lawnmower and I’m sure you’ve fallen in love with them already. The crazy thing is that there are much more benefits associated with robot lawnmowers that you might not even be aware of. 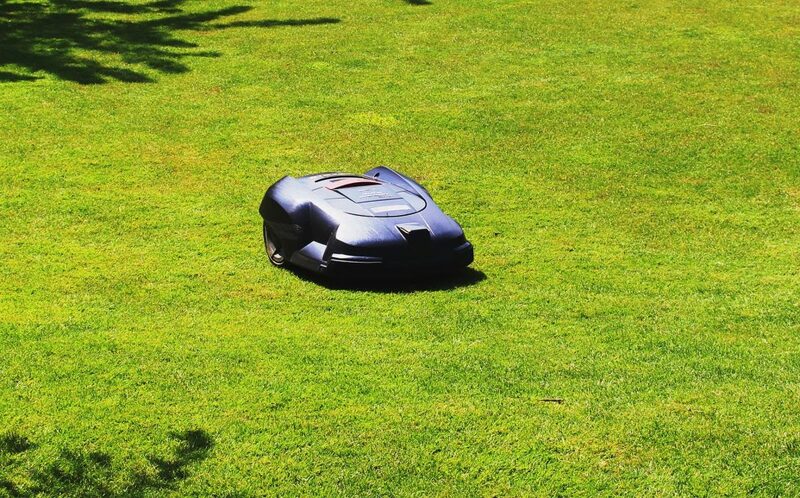 So far you’ve heard a lot of amazing advantages that come with owning a robot lawnmower, but are there any downsides to using one? Robot lawnmowers cut the grass perfectly and reach even the most difficult parts of your lawn; however, they do not collect grass and twigs, like other types of mowers do. Another factor that you should consider before making your decision, especially if you’re on a budget is the price of the robotic mower vs. the price of petrol or electric mowers. Robotic mowers are generally more expensive than other types of mowers and are still considered a luxury to some. Despite a few downsides that come with owning a robotic lawnmower, I have to admit that they are very convenient. You can simply sit back on your porch, and enjoy your weekend while it moves around your lawn, cutting and fertilizing your grass, leaving you with a greener and healthier-looking lawn than you ever had before. 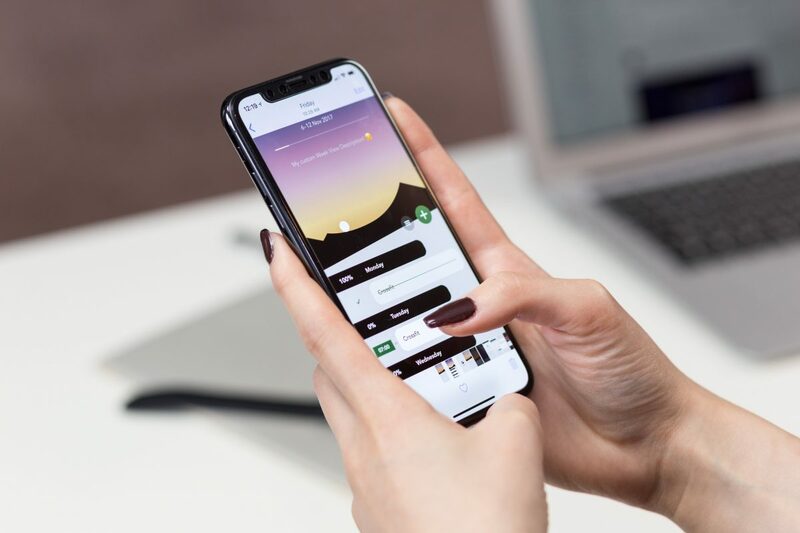 Building a successful app with everything fine-tuned and designed to perfection is a strenuous task requiring years of creative effort and continued focus. The fact that seeing your app alive on app marketplace will take months is enough demotivation for many of us. What about creating and launching an app in a jiffy? What about quickly building an app that perfectly holds together your idea with a straightforward execution? Well, that is precisely what MVP development is meant for. MVP apps give you the pleasure of making your app lives much earlier. What Is Minimum Viable Product (MVP) all about? So many tech startups are mushrooming these days with brainstorming new and innovative app ideas. They have fewer resources, less money, and less manpower to take care of a large development project. But in a highly competitive and quality-focused app market, they cannot settle for less. 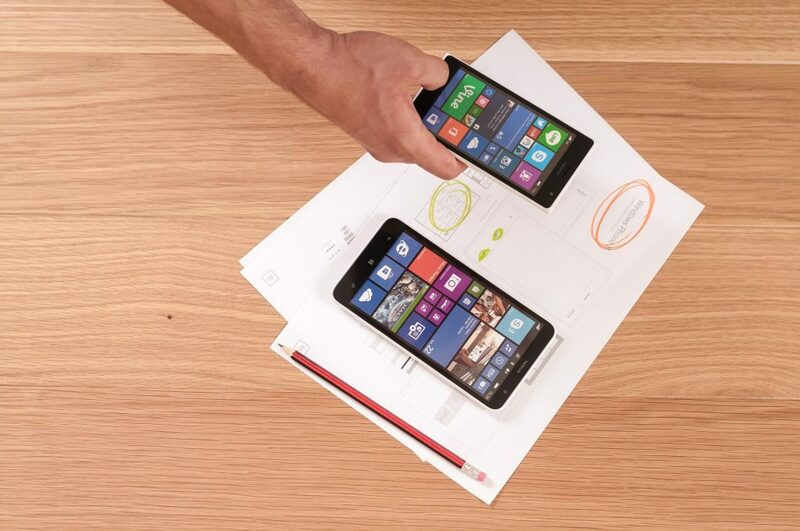 With an ambition to stay ahead of the competition, they cannot settle for a sloppy app. The only solution is to build a minimum viable product (MVP) with few and most important features and the basic app idea executed to perfection. This urgency of the quick launching of apps with relevant features makes MVP a credible option now among many developers. For example, app developers in India the emerging market now considers MVP crucial for staying competitive. Because faster development cycle helps them stay ahead of the competition, where one of such solution worth checking out would be flutter development. MVP or minimum viable product in the context of mobile apps refers to the essential app with core features, design and user experience that expressly define the uniqueness and utility of the app. All other additional features or value-additions or design enhancements can be done upon this basic app built with MVP development principle. An MVP is neither the beta app version nor they are actionable app mock-ups. MVP apps are not also minimum featured apps unless it carries the principal app idea throughout. Why develop an MVP app? We have already seen that MVP mobile app serves mainly as the starting point for an app development project. The MVP app is the basic approach to shape an idea into a well-featured executable app. The enterprises can build MVP apps quickly, can assess the potential of the app idea without taking too much strain and can keep the cost lower at the initial stage of development. Let us now have a look at the key reasons to go for an MVP app. An MVP by boasting of the important app idea and quintessential UX element can help to launch a fully functional app in minimum time. Taking less development time and costing too little MVP apps offer minimum development risk. MVP app easily allows assessing the app idea through original market presence and user interactions. All the guesswork and assessment without material grounds are no longer needed thanks to the option of building an MVP app. An MVP also helps a business getting feedback of customers and all associates after launching a fully working app, not without it. When people can’t decide about the features that suit their needs most, you can build a few MVP variants and help them make their choice. MVP apps being stripped of the unnecessary elements are more performance-driven and least vulnerable to errors and bugs. As the basic version MVP app always remains open to get better with subsequent development efforts. To beat the cut-throat competition in app marketplaces the developers and strategists always need to come with something genuinely viable, useful, unique and relevant for the users. This is why, shaping the basic app idea into a viable product is more important than building a fully-fledged, feature-rich app. This precisely makes MVP a commendable alternative. There are two basic sets of features, respectively as the user application and the admin panel. For the first one change can be necessary for contents and to meet the norms of respective platforms. Rest of the features in an MVP app depends as per the industry and niche. Let us describe features of MVP apps of various niches. Some key features of an MVP e-commerce app include the following. Payment gateway with different options like credit and debit card, net banking, Cash on Delivery, PayPal, etc. Navigation menu by-products, categories, and subcategories. The typical key features that any MVP food delivery app cannot do without include two basic sets of features, respectively for customers and the restaurant or food chain admin. Let’s have a look at these features. If you are going to launch a social network app with a minimum viable product (MVP) features, the key elements that you need to ensure include the following. So, the minimum viable product (MVP) is to boast of faster development of a useful app with all the most relevant features. Instead of opting for so-called cool or stunning features the MVP app of any niche concentrates principally on relevance and accordingly chooses the irreplaceable features that make it meaningful for the users. With the electronics market getting more innovative by the day it is important that the design software that is in place to support this is as innovative also. If you think of the size of a circuit board today compared to 10 years ago – now they are tiny whereas they used to be massive. This is all down to better technological advances in the electronics field and one that continues to be extremely innovative. 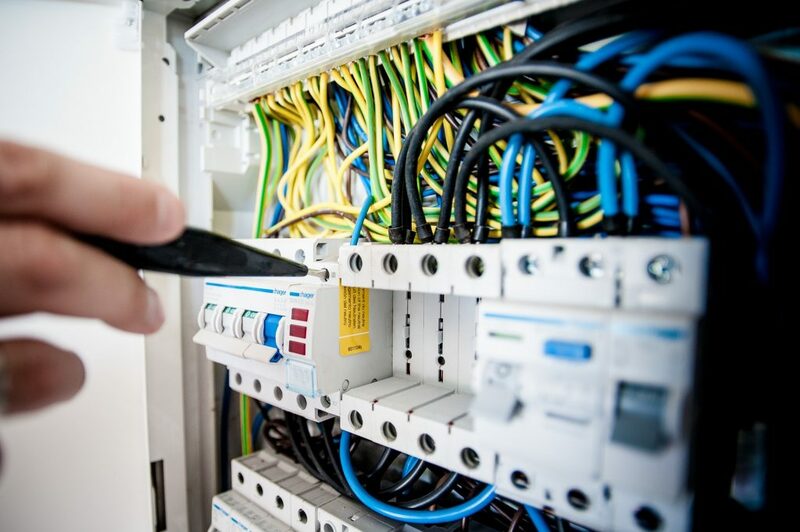 When you think of the designers of these products, the room for error on such a small appliance is quite big which further supports the need to have really good software for layout design which can keep up with today’s routing demands. There are many different packages out there now with the changes to support creative design engineers. 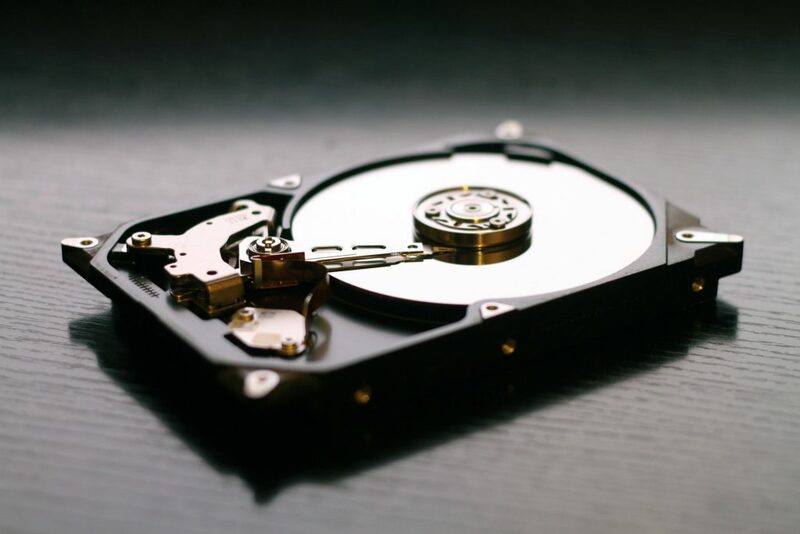 Storage – It sounds a no-brainer however you would be surprised the number of times you hear that people have run out of storage space in their library. Make sure that you check this out before purchasing and ensure that the storage space that they offer is adequate for your needs. Clearly, you want to keep as much of the original items in your library and do not want to have add-on storage options. Most modern software solutions have ample storage space. Simulations – When you have finished designing a product, wouldn’t it be great if you could run a simulation to understand how it actually potentially performs? Most modern layout design packages have this option. 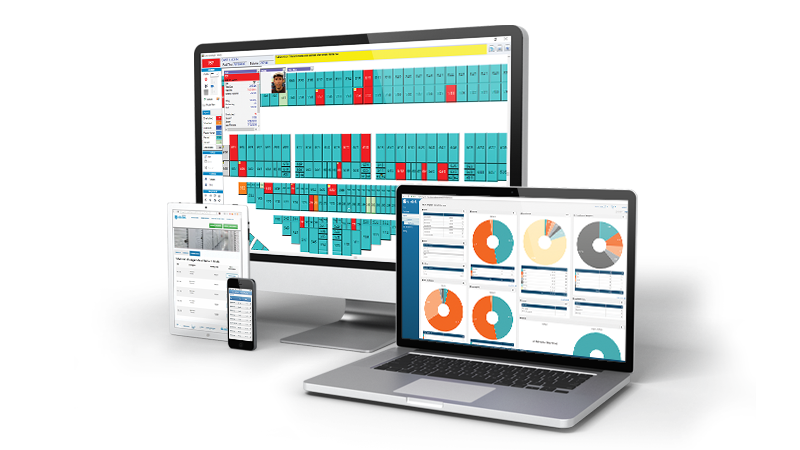 Not only can you run it on individual components but you can assemble your products together and run an assembly simulation. 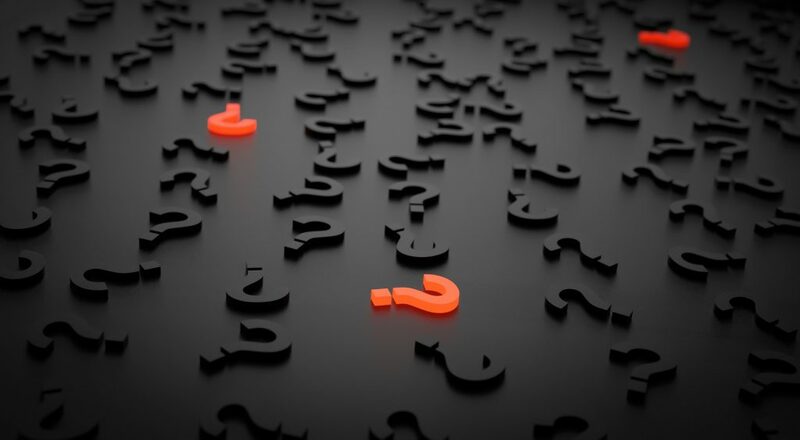 Before the days of simulation, design engineers relied heavily on the robustness of their design and even the outcome of any FMEA activities that they would complete supporting this. If you do not run a simulation, you run the risk of designing components that are not fit for purpose and it is only when they have been manufactured that this all becomes clear. It’s much better to be pro-active. Advanced Tools – When you think of advanced tools we are talking about things such as different views. Most modern software packages will have the option to complete the design in 2D or even 3D. The majority of designers prefer to complete the component level design in 2D but then move on to the 3D for the assembly, but you have your own choice on what best suits you. Bear in mind that these software packages will also update very regularly, therefore, keep an eye out from the retailer or software originator to ensure that you get any updates downloaded. Each year, consumers lose nearly $2.3 billion due to malware infections. If you are an Apple loyalist, your computer of choice is probably a MacBook. These laptops have been one of the most popular in the world for years now and for good reason. Rather than leaving the important information on your computer vulnerable to attack, you need to take advantage of the power of Bitdefender Antivirus for Mac. The developers of this program set out to make antivirus software that was both easy to use and very effective. Read below to find out more about Bitdefender and why having it on your Mac is essential. If you are like most Mac users, you want a program that continuously monitors your computer for malware and computer viruses. With the help of the Bitdefender Shield, you will be able to detect and remove threats without having to manually scan your computer. 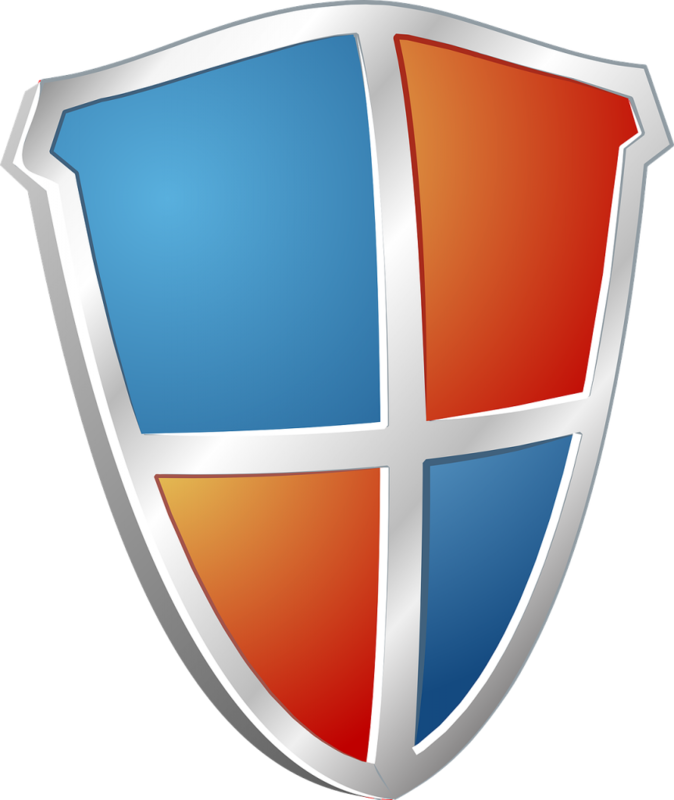 Once you have turned on the Bitdefender Shield, you will not have to worry about nefarious malware getting onto your computer. Being able to set and forget your virus and malware protection will help you focus on more important things. During your time on the Internet, you will come across a number of programs that are made for other platforms. Many Windows-based programs can be accessed on a Mac computer. 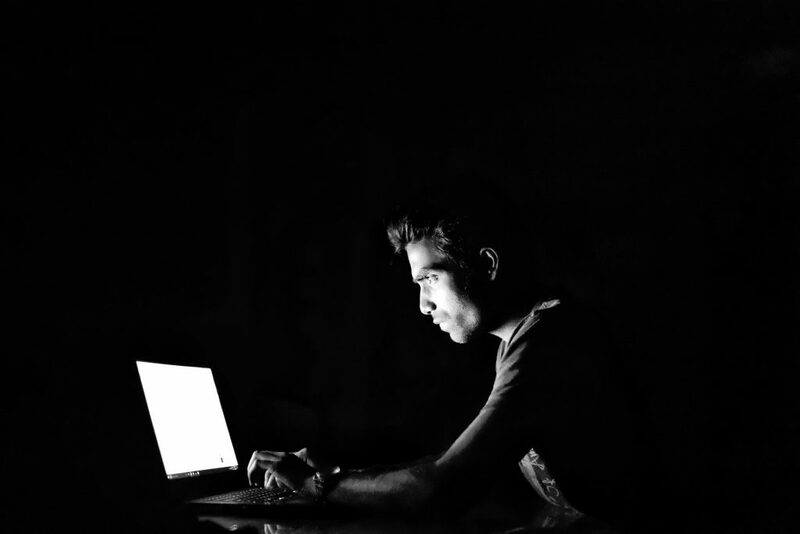 If you do not have comprehensive malware protection, hackers can use Windows-based programs to infiltrate your Mac and take the sensitive information stored on it. The team at Bitdefender has developed a way to both monitors and protect Mac computers from cross-platform malware attacks. If you are confronted with a virus-filled program, Bitdefender will detect this threat and remove any viruses it finds along the way. Modern consumers have a notoriously short attention span. If you are concerned with getting your Mac scanned for viruses without having to wait a long time for the results, then the Bitdefender program is definitely for you. The Bitdefender program combines speed and accuracy to provide consumers with lightning fast virus scans. Not only are these scans fast, they are very detailed. This means you will not have to worry about finding and eliminating viruses and malware on your Mac. Using a cloud-based virus and malware detection program is essential when trying to guard your computer against new cyber-threats. The Bitdefender program is constantly updating and getting better with each passing day. This means that you will not have to worry about your Mac being attacked by new hacking methods. Since this program is cloud-based, you will not have to worry about any drag on your Mac’s resources while updates are taking place. The last thing you want is for your sensitive information to be compromised due to a lack of cyber-protection. With the Bitdefender program, you will have no problem keeping hackers at bay for a long time to come. It will be fair enough to say that there is hardly anything called a ‘new’ trend in web designing. It is merely the development and modifications of the existing patterns merely with the intent to make it more readable, appealing and conversational. In fact, it is the keystone that the designers focus on to make a long-running conversation more meaningful in web publishing. With all available tools for web designing, this facet has become more prominent in 2018 and will surely stay for many years to come. The story and messages conveyed through websites these days literally takes you as close as it can. Any abstract or unreal issue or any complex topic is turned into smart content by designing a series of easily understandable paragraphs and implementing useful elements. The volume of the content or the number of components incorporated is not overwhelming anymore in websites these days. Make the design and content model different from any standard design or blog posts. 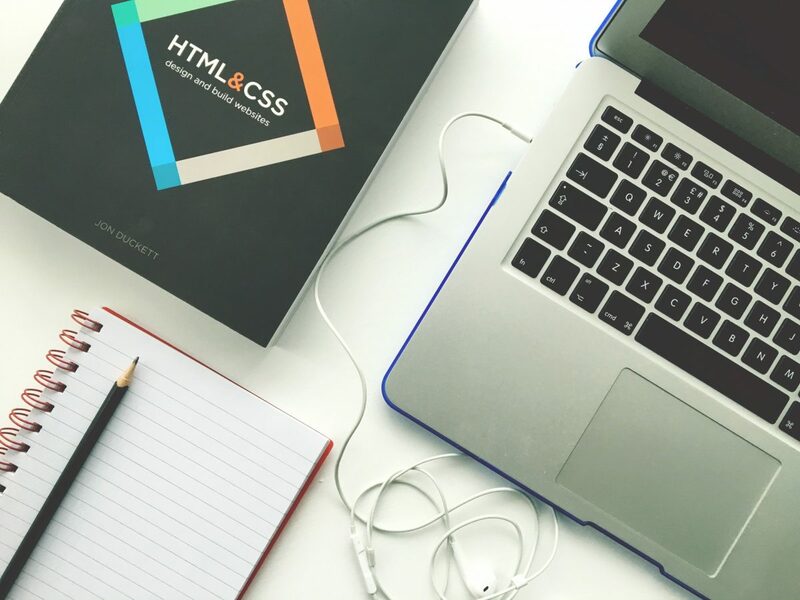 If you want to engage long form in web design, you will have more diverse approaches irrespective of the fact that it is a broken grid or a standard column. You can make cool web designs just like Tayloright choosing between webooks and content hub. Today demands to create beautiful and appealing content-focused websites, a trend that started in early 2017 and increased in 2018. You can expect to see more of these shorts in the future. There has been a lot of change in the layout system and the first real layout is the CSS grid for any website. The purpose of this design is to organize contents in columns and rows and eventually give the developers absolute control of the screen. Even the web flow will support CSS grid and help in managing the most common challenge in web design that involves diversity and inclusion of ideas as well as identities. It can be said as an appendage to this point that even the political climate plays a significant role in the inclusion and diversity in web design. The web designers are also concerned about the gender dropdowns and its design choices and inclusion and options and even consider whether to include it at all in web design. 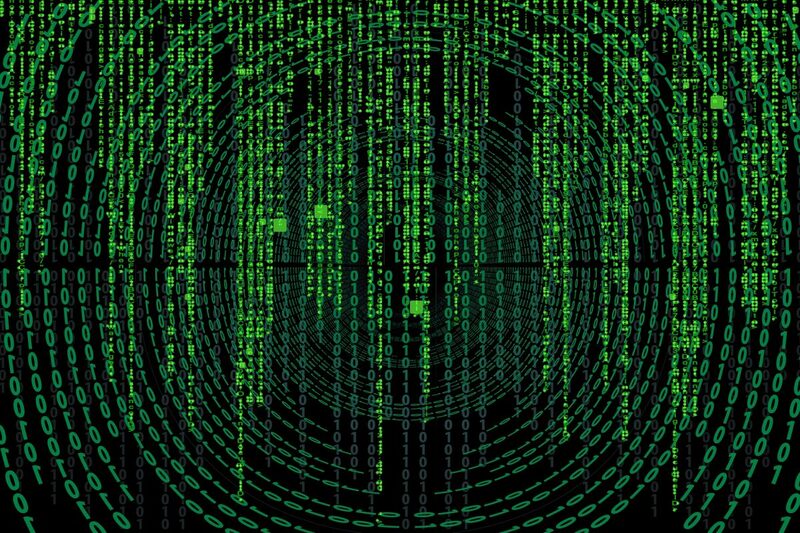 Data validations and mechanics play a crucial role in the dynamics of computer interactions with a website. Since the wording of error message is very powerful, a filter in the advertising tools may have racist effects downright. It is important to uphold the existing relations and this is the primary thing that is considered by the web designers when it is upended. Therefore, the designers need to be diverse and inclusive in their design solutions like Tayloright. It offers an ideal and usable experience. In other words, inclusion must be to the fullest to make sure it provides an optimal experience to the users. The video seems to be the swivel of modern web design that has brought in a polar difference in its effects, appeal and effectiveness. Publishers are clamouring for videos included in the design du jour and this switchover has provided better results. Now you can see it anywhere whether it is a news site or any other. Watching a video rather than reading the short form stories is more effective. However, this popular trend is barely a neutral development as the outlook may not be suitable for the sites with this switch. Regardless, there is a positive note in such a switch. Video Cost Per Impressions is much better than display CPMs. It is the primary format of almost all communications still. Therefore, however ‘visuals first’ platform it may be, the text still plays and always will play a significant supporting role. Thus, texts are hard to go to the dinosaur way even though an image may be “worth a thousand words.” Pictures can never answer who, when, what, why, where, and how meaningfully with reference to the context. It can be said that web design is more systemized and has undoubtedly earned its place at the table. Conversations now are not restricted to simple assertions of values but it involves a more mature analysis. This has forced in more systematic web design to ensure that it is cohesive and scalable. It must provide the desired output of a brand across different and varied applications and environments. 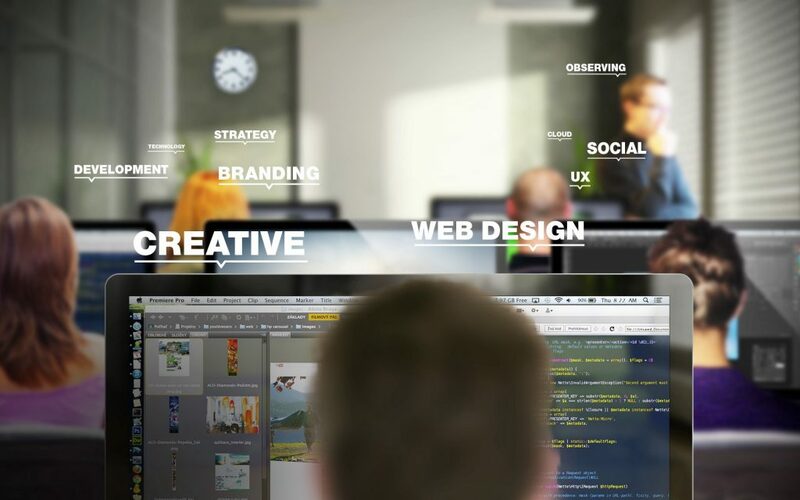 The principle of design focuses on brand aesthetics translation, the functionality of modular components and to meet the unique need of the UI. The systemized language must simplify decision making. Therefore, the debate between content-first or design-first has resulted in more system oriented designs in modern times that is here to stay. Maria Jones is a digital art fellow and multidisciplinary artist who is into design and development for the last ten years. She now specializes in the responsive design and used to write blogs and Tayloright about evolving graphics and web design concepts.